Bau: Magazine for Architecture and Town Planning, issue 1/2, 1968. 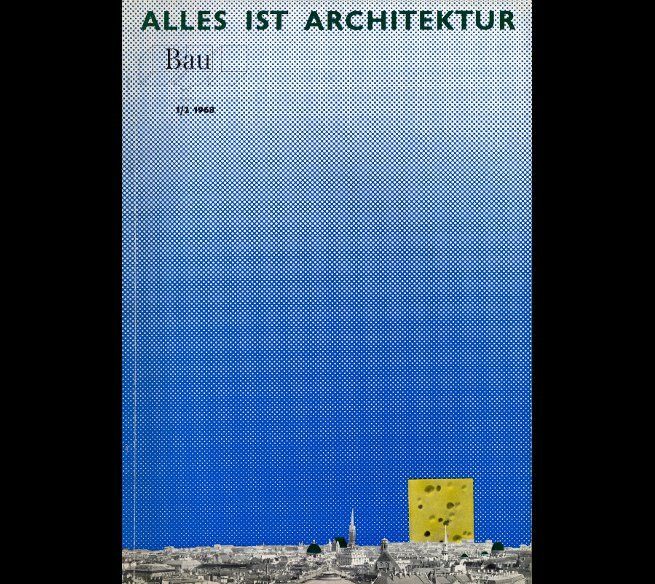 Published by Zentralvereinigung der Architekten Österreichs. Courtesy the artists and estates. The ICA is delighted to present the first significant presentation in the UK of the influential Vienna-based architectural magazine Bau: Magazine for Architecture and Urban Planning. The ICA is delighted to present the first significant presentation in the UK of the influential Vienna-based architectural magazine Bau: Magazine for Architecture and Urban Planning, published by the Central Association of Austrian Architects. The seminal architect Peter Cook, founder of experimental group Archigram and former ICA Director will discuss the period around the exhibition on 19 June 2015.